For muddy puppies or children exhausted from the tedious chore of making mud pies for all their friends, the couch may become the perfect place to crash. The result of such behavior can be unsightly mud stains adorning the fabric of your furniture. 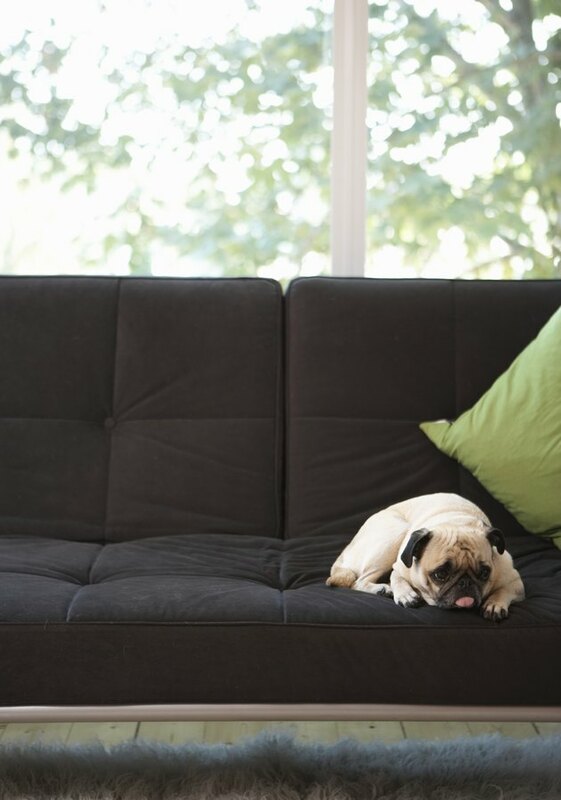 Since no one wants to sit on mud stains, except maybe the dog, an aggressive approach is in order to eliminate these unpleasant stains from your couch. Muddy paws are often the cause of these pesky stains. Blot up fresh wet mud stains with a dry cloth. Do not wipe the mud up as this will cause the stain to spread. If the stain is dry, use a dull utensil such as a plastic spoon or a soft-bristled brush to scrape away as much mud as possible. Dampen an old toothbrush with warm water. Dip the toothbrush into a bleach-free liquid laundry detergent. Work the detergent into the stain with the toothbrush and let it sit for 10 to 15 minutes. Mix equal parts white vinegar and water and dip a clean cloth or sponge into the solution. Wring out the cloth well. Blot the area to rinse away the soap and residual mud. Sprinkle baking soda over the stain to help the area dry quickly. Brush away the baking soda with a soft-bristled brush when it dries, about 30 to 45 minutes.